"eBook" is short for "electronic book", a book that offers the convenience, access, and unique capabilities of the digital realm. eBooks are purchased online, and then downloaded to a PC, laptop, or portable device. The eBook can then be read on-screen using an eBook reader. All Golden Apple eBooks are DRM free(Digital Rights Management). eBooks are available in a variety of different formats, including Kindle and epub. Golden Apple, Wallasey eBooks are now in epub and kindle formats. eBooks can be bought online and downloaded in a matter of seconds. Once you have downloaded an eBook you can easily access it at any time. Search and bookmark facilities enable text to be quickly found. Most eBook readers keep a library of all of your eBooks. All our eBooks have links on the ‘Supplier’ page which will take you direct to the book’s page at Kobo/Kindle. 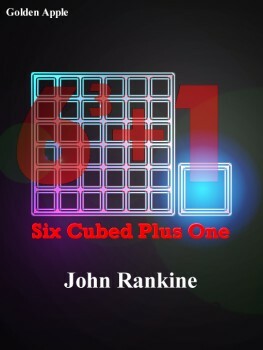 Now's your chance own a free copy of an exciting Short Story by John Rankine as an ebook. This will introduce you to his work and also to the world of ebooks - a true Sci-Fi media. If you are new to ebooks or don't have a reading device, then you will need to install a reader for the format on your computer. Kobo and Kindle readers for pc/mac are available free on the net. Published by Golden Apple, Wallasey. Through a simple matter of misalignment the new teaching machines in the school began to require more knowledge than was being programmed into them - they also needed a control and Sarah Joy's ego was the only one they chose. This short story was dramatised by the BBC in 1966 as 'The World in Silence' in the 'Out of the Unknown' series 2. It was Broadcast on 17th November 1966.